These are just a few examples of how the Church has led people into a world of confusion. 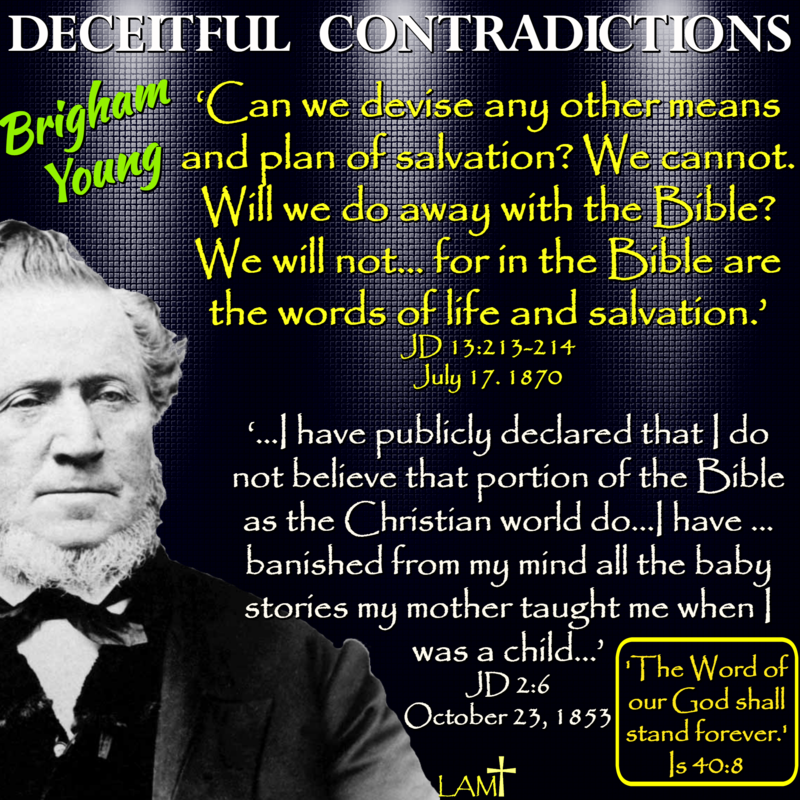 It wasn’t just Brigham, but the wholesale culture of Mormonism itself. We see this today in the way LDS missionaries knock on our doors with Bible in hand. Pray for those who are caught in this nightmare. My own mother doesn’t believe the Bible, yet she calls herself a Christian. It’s absolutely heartbreaking!